It’s our pleasure to announce the next VentureClass of 2018 on Thursday evening 22 February. For this VentureClass we have invited VentureLab alumn Ben Cappelle, CEO of Clean Teach Aviation. Join us on 22 February as 2 time VentureLab alumnus Ben Cappelle, founder and CEO of CTA, talks about CTA and the developments over the past ten years. The VentureClass will conclude with a Q&A session, followed by networking drinks. It’s our pleasure to announce the next VentureClass of 2018 on Thursday evening 22 March. For this VentureClass we have invited René Bolhuis, CEO of MKB Innovation Top 100 Company Horus View and Explore. 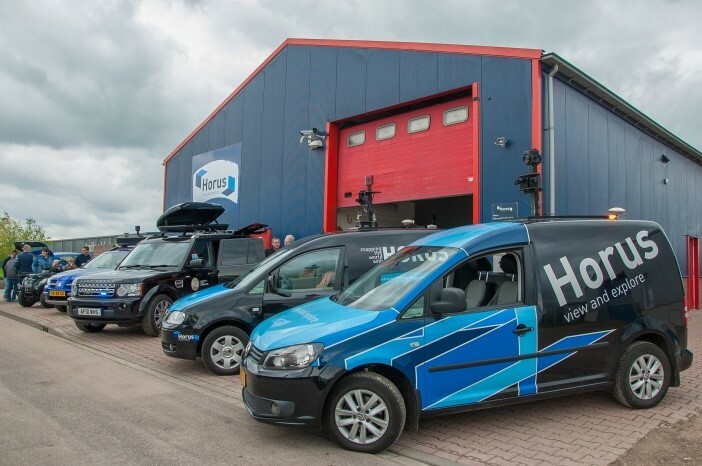 While the cameras from Horus View and Explore can be found across the globe, from Peru to the shores of the Zambezi river, the company was founded and is located in Bedum, the Netherlands. What began with a 360 degree camera to help René in his work as a fire commander, has grown to a global company that focuses on Video and Sensor Technology, Geographical Information Systems, Deep Learning, Virtual Reality and Live Data Streaming. Join us on March 22 to hear about Horus, and how the cameras help fight poaching in southern Africa, identify smugglers in Saudi Arabia, and how they use virtual reality to give patients in hospitals a feeling of being home! 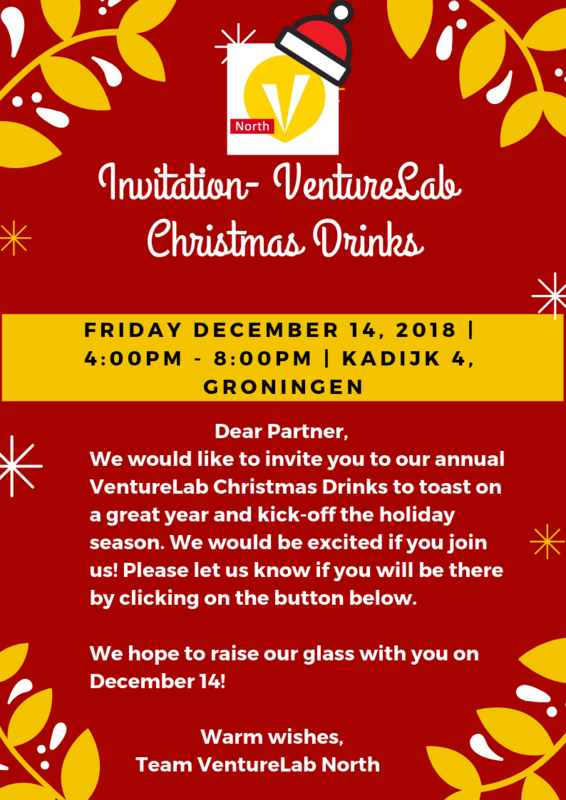 The VentureClass will conclude with a Q&A session, followed by networking drinks. It’s our pleasure to announce the next VentureClass of 2018 on Thursday evening 19 April. For this VentureClass we have invited Jan Hendriks, CEO of Groningen Ondernemersprijs Winner Innocore Pharmaceuticals. Founded in 2004 InnoCore is dedicated to developing, in close collaboration with its pharma and biotech partners, minimally invasive and long-acting injectable polymer based depot formulation products for precise delivery of small molecules, peptides and protein therapeutics as to contribute to enhanced patient care. Alumnus of University of Groningen, CEO of Innocore since 2014 has led Innocore to winning the Groninger Ondernemersprijs in 2017. Join us on April 19 to hear about Innocore. The VentureClass will conclude with a Q&A session, followed by networking drinks. 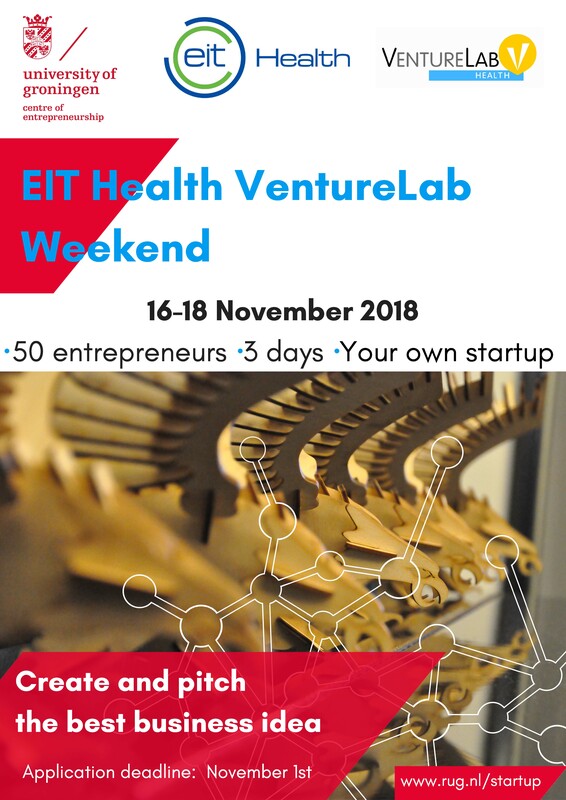 The EIT Health VentureLab Weekend is all about building – building your competences and skills, your future dream-team, and, of course, your business. During the 3 days of the event you will work on turning your idea into a working business concept. We support you with workshops and an international group of coaches and experts. Join us for the certification and farewell for group 6 who finalise the programme on 18 January 2018!